Back Injury - While many health problems can be completely or almost completely cured by modern medicine, many types of back injury cannot. The back is an incredibly complex piece of human anatomy. Even modern medical science is stumped by the question of how to fix it. Those who have hurt their lower, mid or upper spine regions experience daily ache, nerve pain and regular flare-ups. Pain plagues life 24 hours a day, 7 days a week, 365 days a year. These symptoms disrupt sleep in addition to activities of daily living. 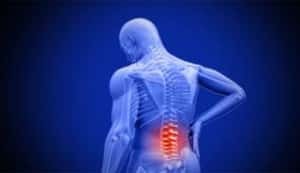 Due to the inability to cure them and the difficulty to relieve the often severe symptoms associated with them, spine conditions are among the most serious orthopedic problems. They are also among the most common types of personal injury sustained in automobile accidents, especially during rear-end collisions. The second most common damage is a ruptured or herniated disc. A disc is a mass of formed soft tissue between the vertebrae. The disc exists as a cushion for the stresses placed on the spine. The condition is more likely to occur when subjected to a significant or unnatural force such as experienced in a high impact car accident. And when it herniates it can never be repaired. The bigger the rupture, the more likely it will affect the nerves that send signals from the brain to the body. While surgery can relieve symptoms temporarily, a full fix is not possible. The third most common condition involves the spinal cord itself. The damage is never fully cured by any known modern medical intervention. When it is stretched or severed during trauma such as in a bus accident, the cord itself loses its ability to transport signals from the brain to the affected body parts. The higher up on the body the spinal cord damage occurs (toward the brain), the more body parts become affected. This is because the body sends signals from the brain downward through the spinal cord. While immediate neurosurgery may potentially save some signal strength through the damaged portion of the cord, permanent damage can never be undone. While most back injuries can never be fully cured, medical science does have some options. Whether a particular option is available depends upon the type and the severity of the condition. Here are some of the options based upon category. Remember to always consult your medical doctor about whether any or all of them are available in your circumstances. Medications. Muscle relaxants, NSAIDS, narcotic pain killers. Physical therapy. Exercises to strengthen. Back injuries are among the most serious orthopedic issues that can arise in a rear ender. Even though they are common, they are also one of the most difficult to prove as caused by the accident. This is because the onset of symptoms is often delayed or ignored by the victim, thereby causing a delay in medical care. The insurance company’s attorneys then point to treatment delay as a reason to deny the claim as illegitimate and later argue to a jury that the plaintiff did not get hurt in the collision. This makes it extremely important for anyone who believes they have sustained an injury in an motor vehicle crash to seek attorney advise and guidance immediately. 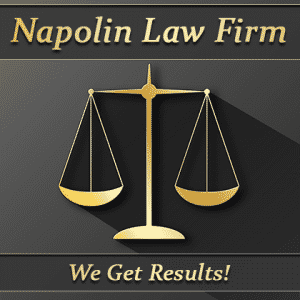 At The Napolin Law Firm, we are here to help you prove your case, starting with a free consultation! Call to speak with a lawyer today, free of charge. If you, a family member or friend have any back injury related legal issues please contact our law offices. Call Now: (909) 325-6032.